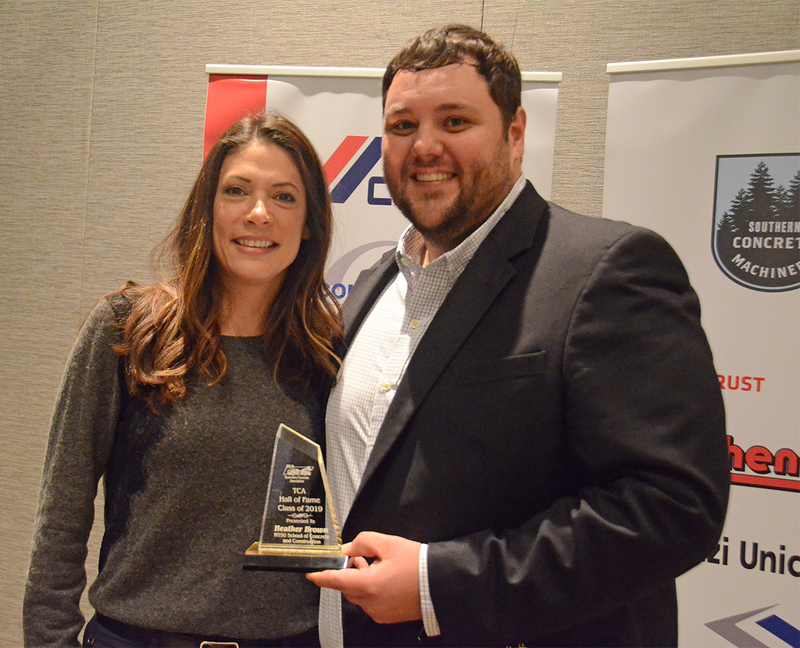 Longtime finance educator to r..
FRANKLIN, Tenn. — Middle Tennessee State University School of Concrete and Construction Management Director Heather Brown was supposed to be on a working trip to Nebraska. But others in the know had other plans for her and resorted to very persuasive maneuvers to keep her from going to Nebraska and also teaching a concrete class at MTSU. So Brown was totally surprised Thursday (Feb. 7) when she was inducted into the Tennessee Concrete Association Lifetime Hall of Fame. 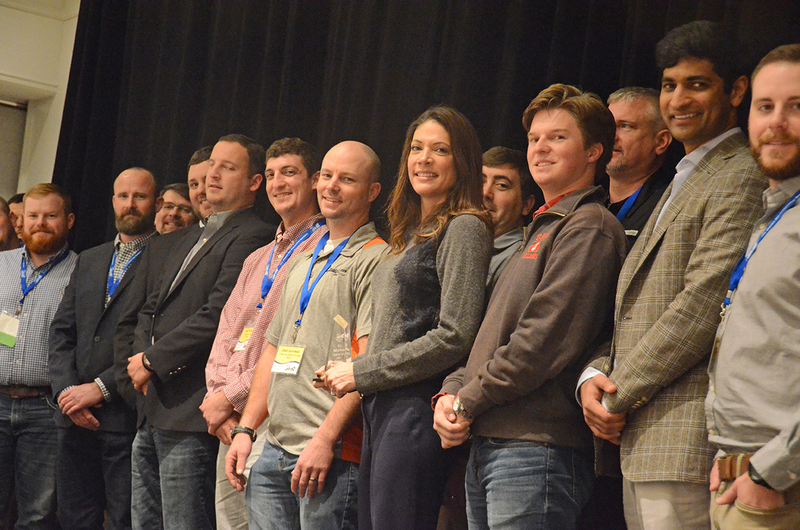 The hall of fame honor was part of the industry’s Concrete Excellence Awards luncheon at the annual two-day get-together for professionals in the organization at the Franklin Marriott Cool Springs. “I don’t build bridges or roads. I build people,” a humbled Brown told the audience after TCA official and emcee Alan Sparkman announced the final of three hall of fame inductees. As Brown was being presented the award, Sparkman asked for MTSU concrete alumni to stand, then proceeded to call them to the stage for a photo. The honoree, a native of Fort Campbell and Clarksville, Tennessee, hugged about 25 alums individually as they walked onto the stage. Sparkman said he had known Brown ever since she had been in the industry. Brown’s other two degrees, bachelor’s and doctorate, also came from Tennessee Tech. She oversees five departments/programs at MTSU, where she has been since 2001. 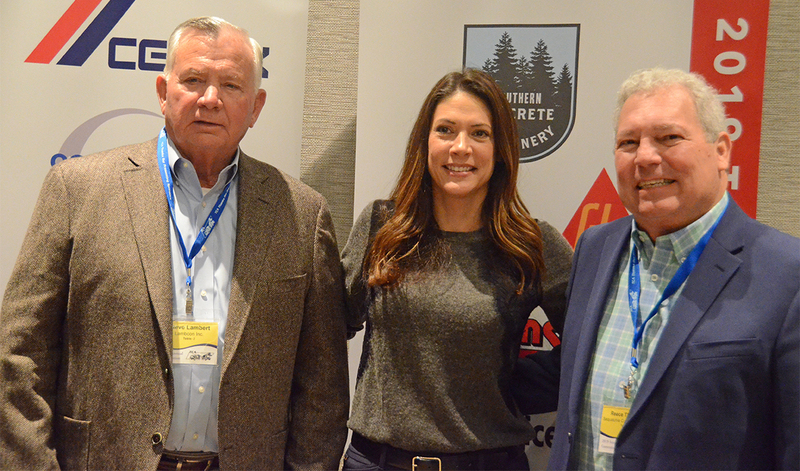 The Tennessee Concrete Association also named Steve Lambert, owner of Bradley Concrete/Lambert Readymix in Cleveland, Tennessee, and Reese Thomas, owner of Sequatchie Concrete Services in South Pittsburg, Tennessee, as Lifetime Hall of Fame Inductees. Earlier in the day, Brown brought her annual message about MTSU’s nationally known Concrete Industry Management program and also about the proposed $40 million building for the program. “I informed the group about who’s hiring in the industry, salaries and the number of graduates we have,” she said. “As for the building (part of the Tennessee Higher Education Commission’s $434 million for 10 projects statewide), we’re waiting and hopeful.” Fingers were crossed on both hands as she made that statement. One of the most influential people in the industry in 2017 — by “Concrete Construction” magazine. “Outstanding Female Influences on Campus” in 2016 — by the MTSU National Women’s History Month committee. Top 10 Women in Business 2015 profile by Murfreesboro Magazine. Brown, 43, a university professor in addition to being an administrator, also received the MTSU Outstanding Teaching Award in 2013-14, announced at the Fall Faculty Meeting in August 2014. During her tenure, Brown has seen the Concrete Industry Management program merge with construction management to form the School of Concrete and Construction Management. CIM was developed at MTSU in 1996 and led to the expansion at four other college campuses nationally. The concrete and construction programs have produced 1,350 graduates, who are spread across the country. One thousand of those are in concrete, and Brown said she has taught all but 17 of them through the years. There are 375 concrete students in the program now. A mother of two sons, Mason and Wyatt Brown, her resume includes vast technical experience, testing, research and consultant. She has authored and co-written many papers for numerous industry publications and organizations. MTSU senior concrete major Julia Hudson of Nashville attended the event as part of her internship with the Tennessee Concrete Association. She is scheduled to graduate in May.